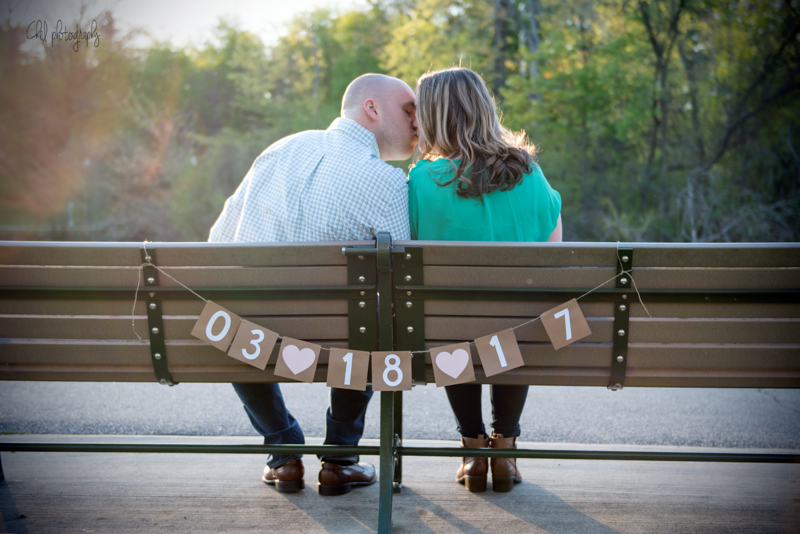 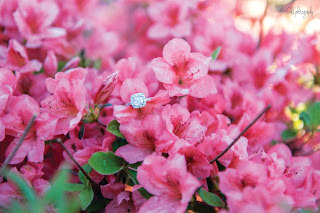 I am so excited for Ashley and Kevin on their engagement! Ashley was my classroom next door neighbor my first year of teaching. 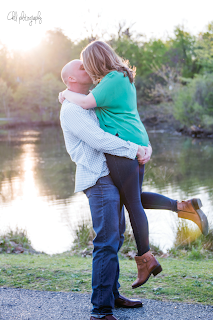 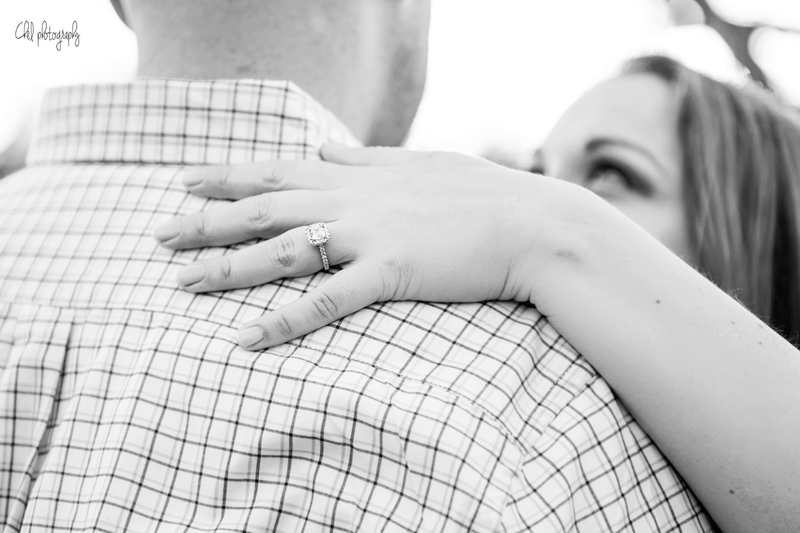 I was so thrilled when she asked me to photograph her engagement session. 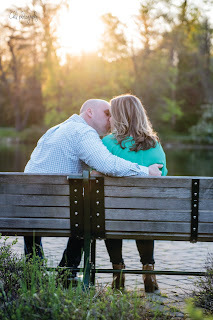 We had a beautiful sunset in Verona Park. 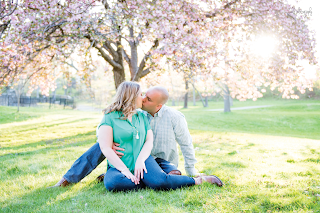 The cherry blossoms were in full bloom. 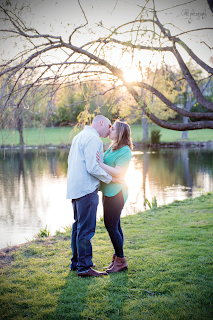 I barely had to edit any of the photos because the the sunset shining through the trees created some beautiful color! 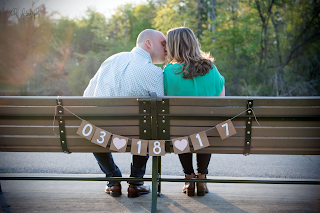 I can't wait to see the "save the dates" they make with these pictures. 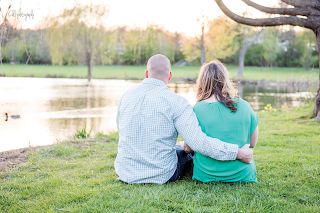 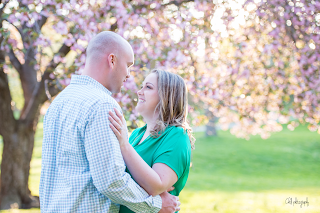 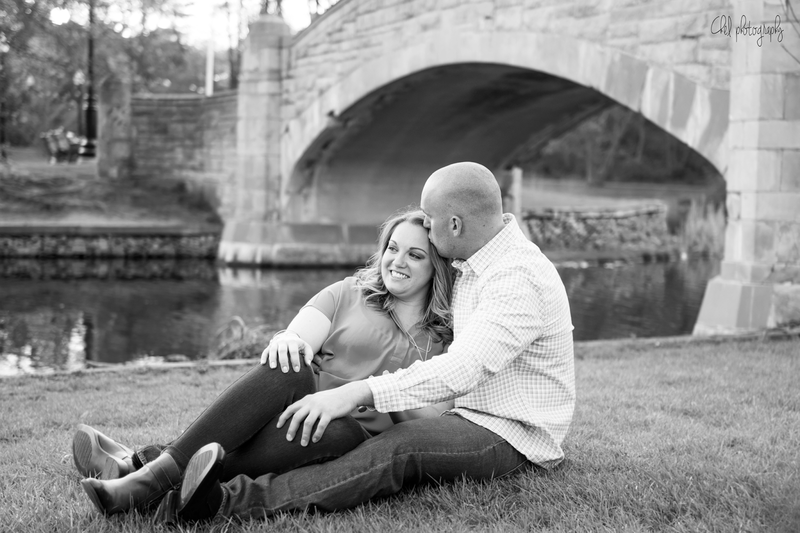 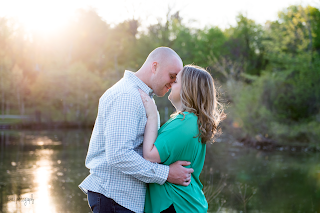 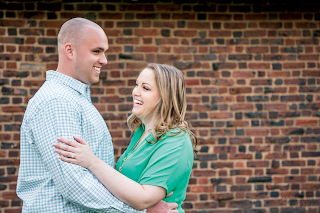 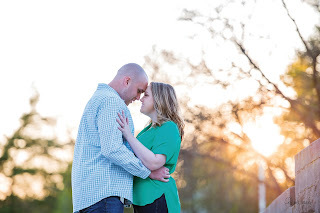 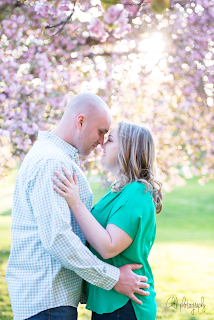 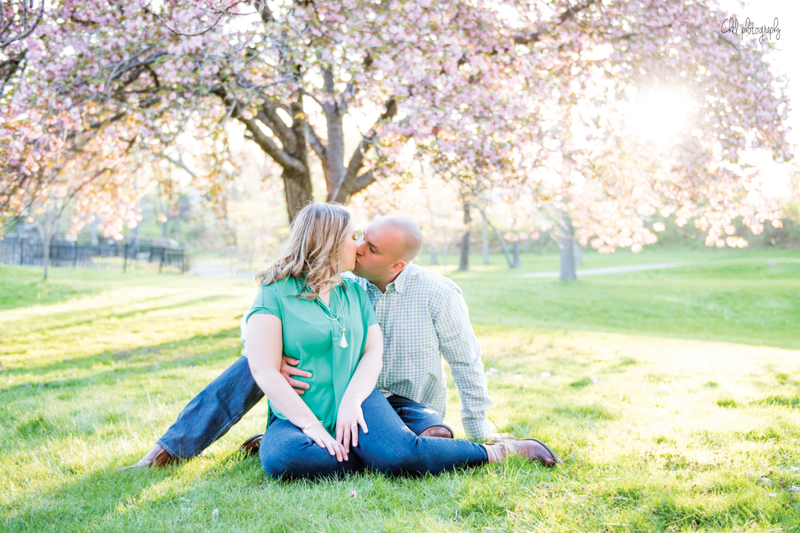 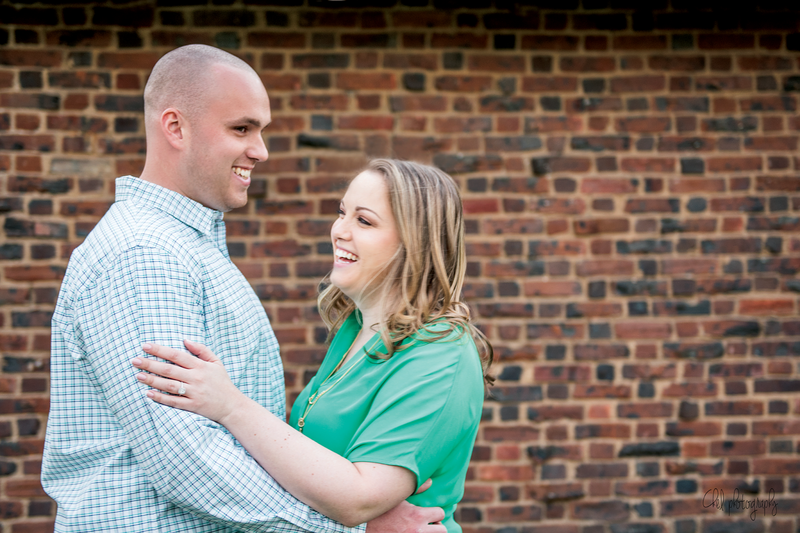 The couple will be getting married at the Olde Mill Inn in Basking Ridge next March!